Upon invitation of the Judo Association of Zambia at the beginning of August 2010 we went from Kitwe to Lusaka by bus. Jonathan Kruger from the Kodokwan Kumasamba (in 1995 he represented Zambia at the Judo World Championships, which took place in Chiba, Japan) came with us. We trained there with the National Team and worked with them in order to improve their judo techniques. You might ask: “Why should someone want to undertake a 5 hour bus drive for only 350km instead of using the plane?” We wanted to have the opportunity to see the villages, the markets, the savannah, the surroundings and the way of life along the only street that connects the capital city. Furthermore it allowed us to observe the travel habits of the locals: we wanted to “live” the African world. 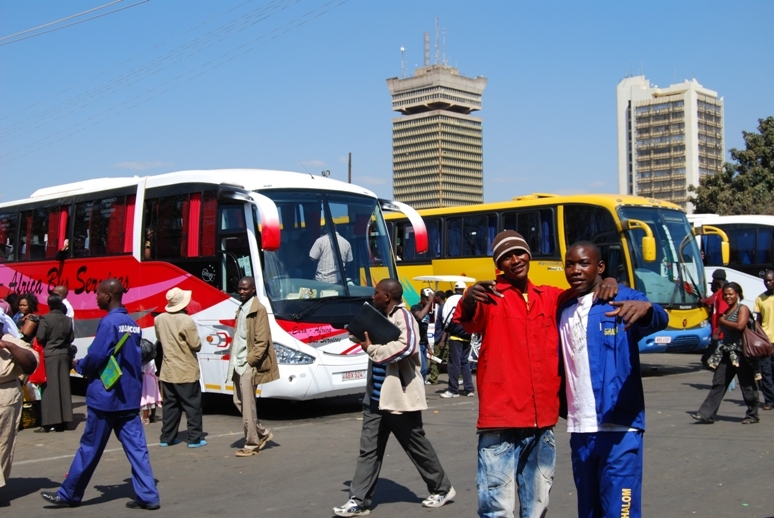 At 11.30 we finally arrived at the bus station of Lusaka. We observed the way they unloaded the buses and how most of the companies advertise their trips. Everybody tries to drag the people on their bus, promising, that it twill leave within the next 5 minutes. The place is a big mess, with unlicensed taxi drivers and rappers, that like you to take their pictures. We got picked up by someone from the Judo Association, who took us to our hotel, the Ndeke Hotel. Strange but true, the owner is an Italian, who welcomed us with enthusiasm and outstanding courtesy. We lived in a suite there during our whole stay. Training started the morning following our arrival at the “Jude McKenna” Sports Center. But who is he, still living with such a great honor? It is important to know that between the 50s and 60s Jude McKenna was an Irish boxer, who was supposed to participate at the 1960 Olympics in Rome. Before that he was supposed to face Cassius Clay (now Muhammad Ali) in a fight, just to understand the level of this boxer. But thanks to a “call” he became a Cappuccino monk and nowadays he still likes to joke about the fact that God saved him from Cassius Clay! 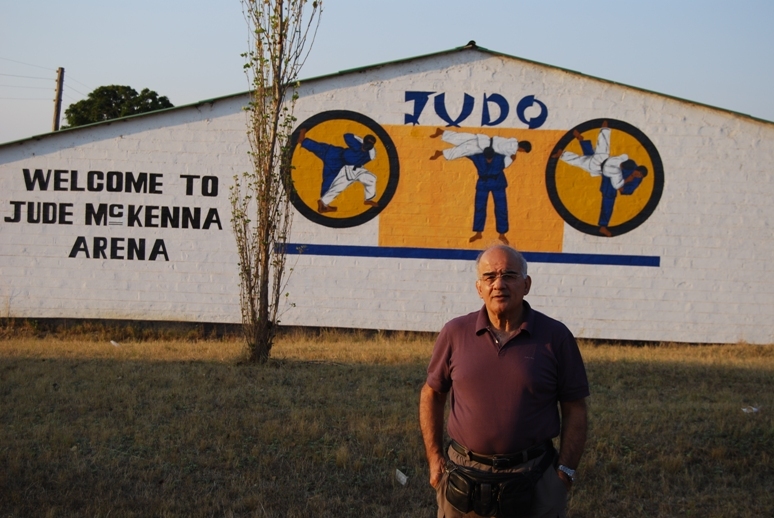 Once he moved to Zambia he worked hard to promote jujitsu at first and then judo by founding the Judo Association. In other words we can call him the “Father of Judo” in this nation and the “Giant” as he is over 2m tall. 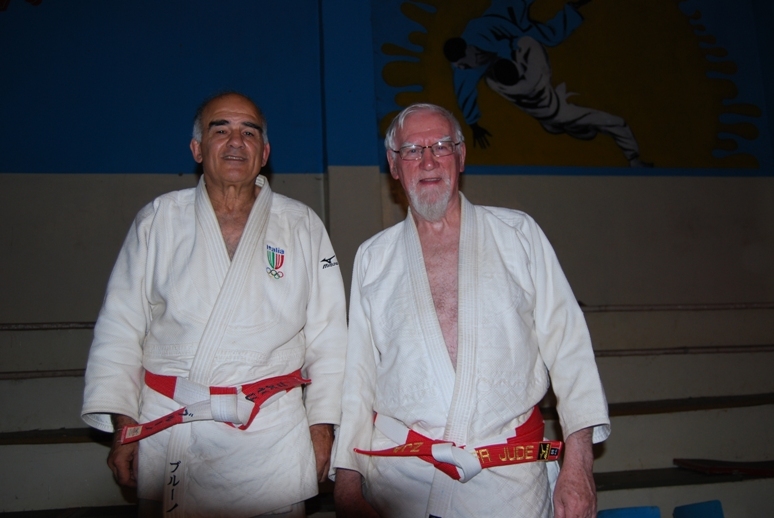 Thanks to his work as priest and judo teacher he was the one who helped the young Jonathan Kruger to participate at the 1995 Judo World Championships and to stay in Japan for seven years. The government has wished to dedicate Father Jude the Sports Center. The dojo is a square hall with 256sqm of original Japanese tatamis. The players of the National Team are judokas belonging either to the National Police or the Army. The superintendent of the National Police, Shapa Wakung’uma, who is an outstanding element of the National Team because of his numerous medals and the former President of the Judo Association of Zambia, has a very fluid and determined judo expression. 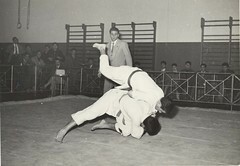 What has surprised us is the variety of judo techniques he performs during a regular randori session. He certainly is the most representative judoka of his nation. He has trained several athletes, among which two, Mathews Punza 66kg and Boas Munyonga 81kg, who are participating now at the current Judo World Championships in Tokyo. 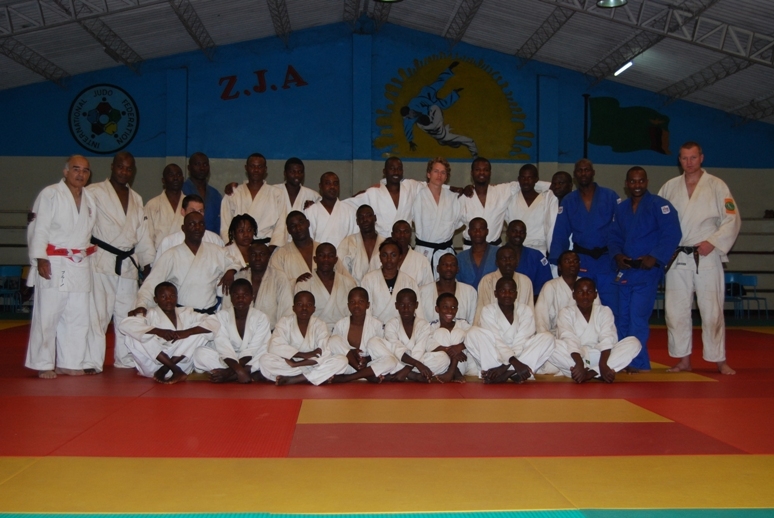 Within the International judo scene Zambia is not simply a buffer nation, but striving to emerge more and more. 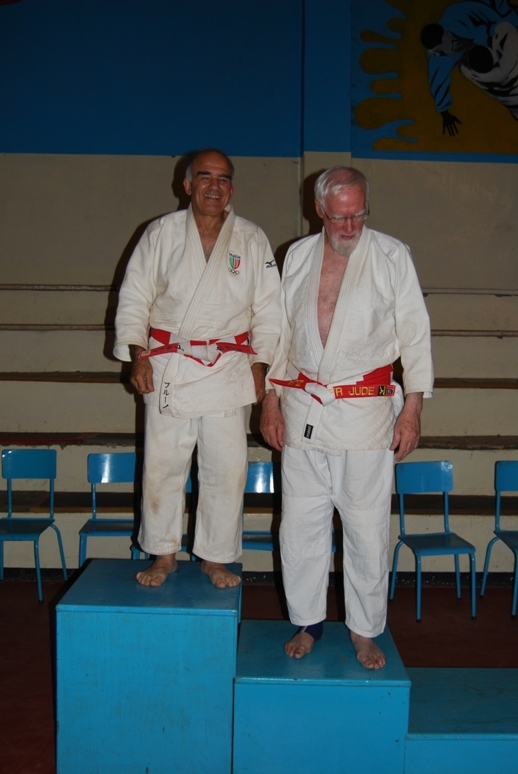 During our stay in Lusaka we practiced everyday day twice a day from 10.00 to 12.00 and from 15.00 to 17.00, adding lots of technical judo sessions. It was one of the strongest request from the National coaches, especially the Ne Waza sessions. 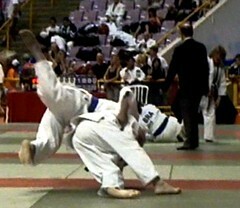 Furthermore we worked on educational judo for kids, a training methods for adults and a methodology for competitors. We spent most of our time on the tatami, not really taking care of us as tourists. Nevertheless we visited the Cathedral of the Child Jesus, which founding stone was blessed by Pope John Paul II during his visit in Zambia in 1989 and a local arts and crafts village. We lived such an intense and pleasant experience, both from the judo point of view and the human one, that we did not visit the Livingstone Falls, one of the World Seven Beauties, as originally planned, in order to spend another three days in the dojo. But we will consider this as an opportunity to come back for some more judo techniques’ exchanges and maybe this time we will also be able to see the Livingstone Falls! Rather than Kohaku Obi (High Grades), the Step was High!! !